Broken garbage disposal? Are you experiencing one of these common garbage disposal problems? 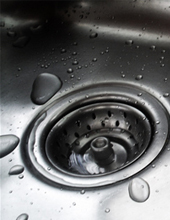 Fixing your garbage disposal may require a simple solution. Before calling a garbage disposal repair technician, try checking the breaker, hitting the reset button on the underside of the unit, or turning the blades from underneath using an allen wrench. Never put your hands near the blades! If these quick garbage disposal fixes don’t work, it may be caused by a larger problem such as a loose mounting bolt, burned out motor, clogged drainage pipe or sink auger. Contact AMPM Appliance Repair at 800-343-6011 and we’ll send one of our friendly and knowledgeable appliance repair technicians to quickly diagnose and fix the problem with your garbage disposal. 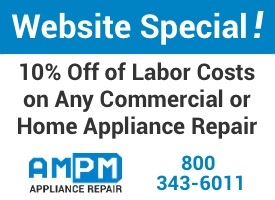 For more than 20 years, AMPM Appliance Repair has proudly served residents and business owners throughout the Los Angeles area to keep their appliances operating in tip-top shape. Our garbage disposal repair techs carry a vast inventory of parts for all makes and models of appliances to ensure that we can handle just about any type of residential or commercial repair on the spot!